Kings of Pastry: a documentary that follows three pastry chefs competing for the Meilleur Ouvrier de France, the country’s highest honor for the profession. Cooking up Dreams: is the next food trend in dining Peruvian? May be, you might have to see this film to see the food scene from the place that brought the world potatoes, peanuts, lima beans and quinoa. Rinco’s Restaurant: A Japanese movie about a lady’s return to her childhood hometown to open a quirky restaurant. Sakawao Decides: Another Japanese homecoming story, but this time the business is the clam-packing one. Taipei Exchanges: A Taiwan film about two sisters that run a coffes shop and act as arbiters of barters among their patrons. Inferno’s Wood Fire Pizza, this cool truck found in Kalihi actually bakes its pizzas in a wood-fired pizza oven on site! Right next to Times Liliha is the Nice Day Chinese Restaurant, which the Advertiser reviewer seems to think there are some nice dishes ro return for. The Noble Chef Benefit for the Maui Culinary Academy, being held on October 29, is getting a whole lot of benefit. Host Chef Tylun Pang of the Pairmont Kea Lani Maui resort in Wailea will be launching his first cookbook at the benefit, but he plans to donate all his proceeds from the book sale to Academy! Your mouth can visit Italy and France while your eyes can watch the sunset from the lobby restaurant Capische? located at the Hotel Wailea. All of this can be done for great kamaaina deals on the entrees. Find out more about their deals here. Where’s the beef? Well, if it is from Maui cattle, some of it definitely landed up at Dan Bennett’s Peggy Sue’s located in Kihei. The name matches the food, as it’s all milkshakes, burgers, and fries from the past. Read up on it here. Not just satisfied with being voted the “Best Restaurant Overall” in the recent Best of Maui contest by the Maui News, Lahaina Grill has to bribe its patrons with an awesome deal. To celebrate its 20 years of business they will be offering their entrees for $20 every Sunday through Thursday. 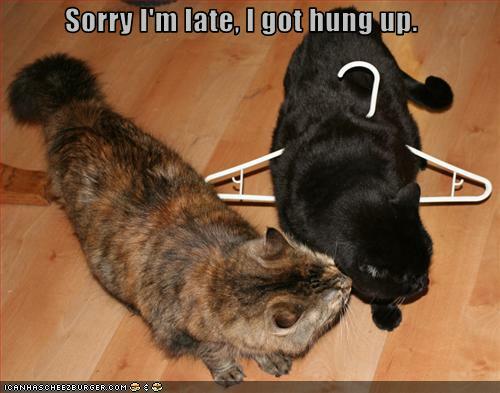 Just make sure you are at 6 p.m., right after they open. The Kaua‘i Independent Food Bank’s goal for the Holiday Food and Fund Drive is $40,000 and 40,000 pounds of food. The financial crisis has exacerbated the need for food and according to figures ending in September, Judy Lenthall, Executive Director, said there has been 62,256 emergency requests for food this year for the people of Kauai. So if you have food to spare help them out by checking out this link: www.kauaifoodbank.org. The coffee berry borer is a small brown to black beetle pests that loves coffee cherries and beans as much as Gurabbi loves rose leaves. This news article tells of the devstating effect of the pest on the Big Island and warns Kauai farmers, growers, and others to be vigilant against bringing this destructive bug to the Garden Island. “The Kaua‘i Grown program was initiated by the County of Kaua‘i Office of Economic Development and the Kaua‘i County Farm Bureau as a way to promote our locally grown agricultural products and recognize the farmers, ranchers, retailers, and restaurants that bring these products to the consumer,” Melissa McFerrin, said during a Kaua‘i Chamber of Commerce Business After Hours event introducing the program to the business community last Tuesday at Kukui‘ula Village, home of the weekly Culinary Market. For more information about the program check it out this link: www.kauaigrown.org. Hey TGIF everyone! Hope everything is going well with you in this sunny state or wherever you may be. Let’s get to what was reported on in Hawaii food news this week shall we? It's Kava time! Check out the Kava Festival this Saturday at UH. The Honolulu Weekly reminds us that islands and rum go hand in hand by reporting on the three rum distilleries that operate in the islands; read more about them here. 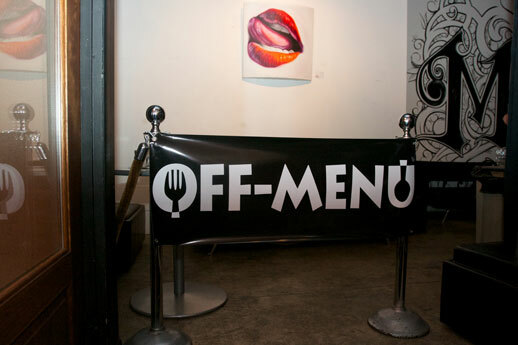 For other events on Oahu see Honolulu Weekly’s Food Calendar here. Has the student become the master? Iron Chef Morimoto has opened his Waikiki restaurant. This Nobu alumni must feel the pressure of his media fame and his former master with his latest restaurant. Check out the Advertiser’s review here and if you are interested in the experience that an Iron Chef has to offer be prepared to pay about $80 per person. Tomorrow (Saturday the 9th) is the Annual Hawaii Pacific Island Kava Festival, held at the UH Manoa McCarthy Mall, from 11Am-7PM. 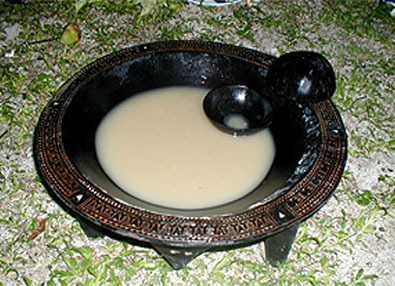 What is kava you ask? Well, it is a pepper plant, also more commonly known as ‘awa here in the islands. The roots of the plant are used to produce a drink with mild sedative properties. For more information on the plant check here. If you want more information on the festival click here. Hawaii Organic Farmers Association has created a directory for certified Hawaii organic products. The database is searchable by product and/or island. Start your search for some island organic goodness here. finally, sommelier Roberto Viernes reminds us while Zinfadels may not be the most flexible of wines to pair things with it is definitely a keeper and you might want to have a bottle from time to time, check out his plug for Zinfadel here. Where did Side Street Inn go? Find out where it is located now (with its brand spanking new huge kitchen) and about owner-restauranteur Colin Nishida in this interview done by Honolulu Magazine here. What’s happening over at the Hyatt? A lot! This Saturday, ‘Umalu will set the stage for its second Oktoberfest; while, the new Halona Kai Martini Lounge will be offering deals on its drink menu daily; and Japengo’s,will be bringing authentic Pacific Rim dishes bearing roots from old Asian recipes, but spiced up with modern techniques when it opens this mid-December, read more about all the exciting happenings at the Hyatt here. Cupcakes, Chopsticks, and Some Wine – Events! 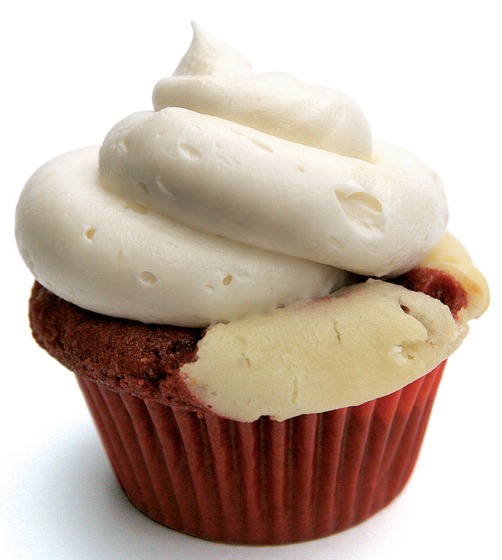 Another yummy cupcake company is coming at you, from Let Them Eat Cupcake! Don’t forget to check out this week’s First Friday and the debut of Let Them Eat Cupcake, their desserts look delicious. Also there is still time to grab tickets to next week’s Chopsticks and Wine event by the Japanese Chamber of Commerce.